"FAME! The Musical" comes to CLC for two performances Nov. 6. Before "American Idol," "Dancing with the Stars," "The Voice" and "Glee" — there was "Fame." First, came the movie in 1980 followed by a musical by the same name and the television show that ran from 1982-1987. Seeking fame is an age-old quest, said Jim Murtha, Sr., whose entertainment company decided to bring back "Fame — The Musical" for a U.S. tour. 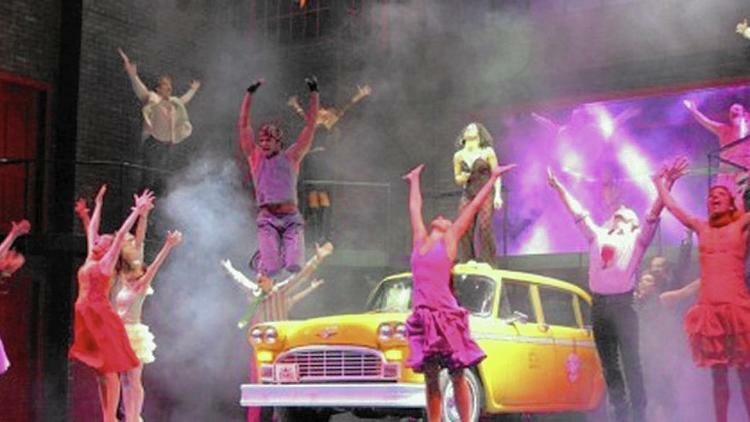 He is producing the show that comes to College of Lake County for a matinee and evening performance Nov. 6 and features the memorable song that declares, "I'm gonna live forever." The story centers on students who attend a high school for the performing arts, and includes Carmen Diaz, who is obsessed with fame, along with a soft-spoken violinist, a comedian, dancers and actors. Murtha, who's worked with classical and pop musicians including Placido Domingo, Victor Borge and Judy Collins, said, "When we were looking for a show list for this year, I started going through the various titles that might be available, and it hit me that maybe "Fame," which hasn't been done since 2002 in the United States, might be an interesting choice. It's been in 25 countries around the world. It played three times in London." The show opened in Utica, N.Y., after actors, singers and dancers auditioned in New York City last February. "We figured we'd get 200 to audition," Murtha said. "We ended up with 1,343 people showing up to audition for these roles. They came from all over the country. It's the old show business story. They got on a bus. They got on a plane. They got here. Most of them didn't get chosen. That's the nature of fame." One of them who did get chosen is New York actress Kris Roberts, who is playing the lead role of Carmen Diaz. "'Fame' is one of my favorite musicals," said Roberts, who attended a performing arts high school in Virginia. "I went to see it when I was an eighth-grader. When I saw the character of Carmen Diaz, I said, 'I want to play her.' That's my dream role. Here I am years later and I finally get to play my dream role." "One of the highlights of our rehearsals with 'Fame' has been working with David De Silva, the creator and the mastermind behind the movie, the TV series and the musical," she said. "He sat in on our rehearsals. He worked with us on the script. It was a real collaboration." Roberts said she enjoys playing Carmen because she's a complex character. "She wants to be a star and that's all that she thinks about," she said. "There are a lot of challenges she goes through. It's interesting and exciting to play this character, because she has so many ups and downs. It's really layered. It's really great for an actor."